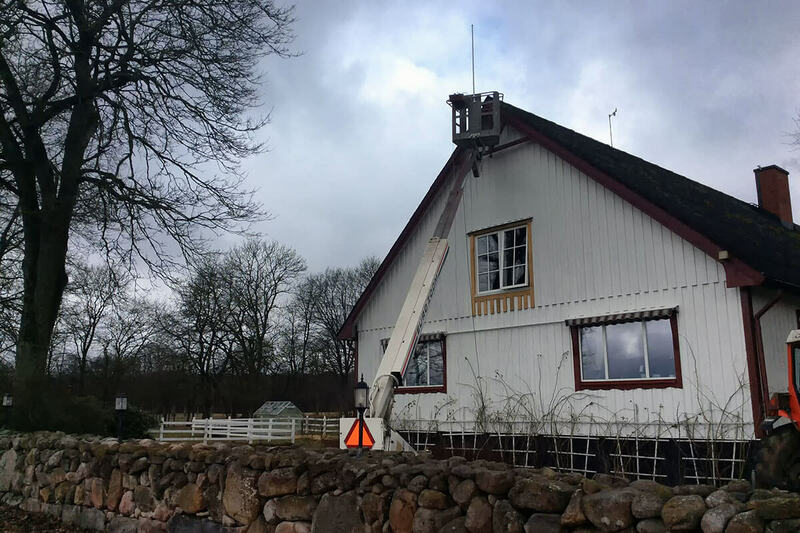 Victory of the Ovi-bovi project at the Russian Startup Tour 2015 in Minsk On a dairy farm near Zhodino (broadcasted 13 Nov. 2015 on ONT) Ovi-bovi cow heat detection algorithm under testing at Teplivody dairy farm (2015) Swedish farmer installs antenna for Ovi-bovi system right on the roof of her house Charolais cows wearing Ovi-bovi tags (Sweden, Skåne region, April 2017) Cows on the Jawa island (Indonesia) ready to be tagged with Ovi-bovi heat sensors One of our first large-scale commercial installations: Chachkovo farm (Belarus, Minsk region, 2017) The development of Ovi-bovi estrus detection system started at Distributed Sensing late 2013. 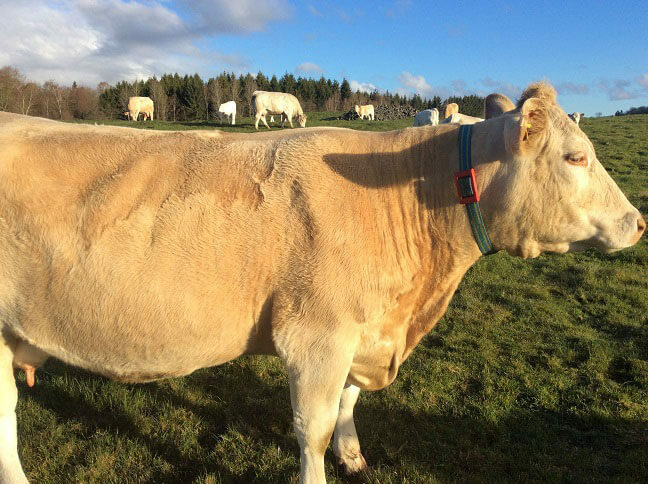 We saw this product as a member of the family of hardware and software solutions to fully automate decision making on a farm. 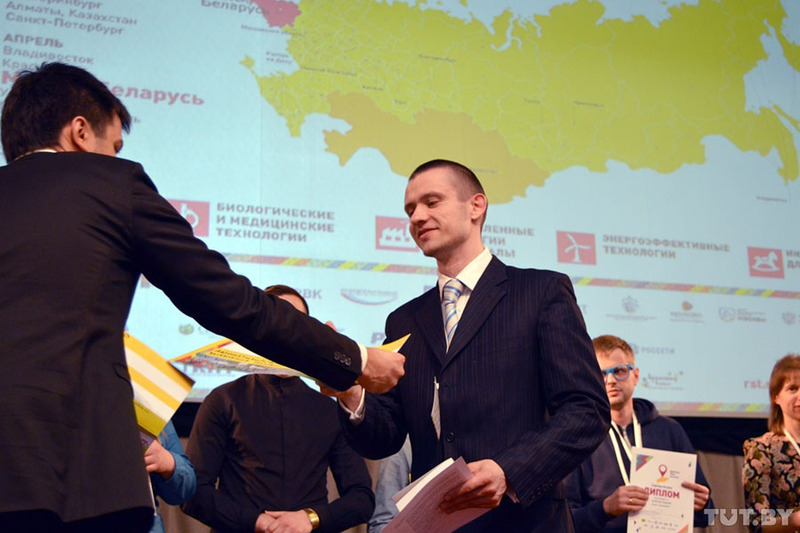 In April’15 Ovi-bovi project won place #1 in IT track at the Russian Startup Tour 2015 in Minsk. In September’15 the science & technology council of the Ministry of Agriculture and Food of the Republic of Belarus recommended large-scale testing of Ovi-bovi automatic estrus detection system during the year 2016. 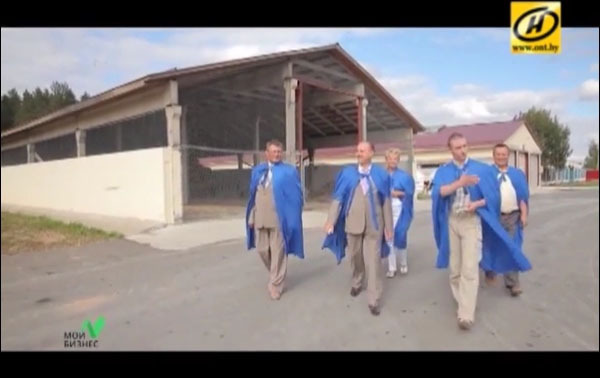 We also found bold support from the Science-practice Centre on Animal Husbandry of the National Academy of Sciences of Belarus, in particular Dr. Popkov, director of the Centre, and Dr. Koronets, head of the laboratory of the dairy and meat livestock selection. Under their guidance we launched field tests of Ovi-bovi tag casings at a dairy farm in Gorodeya (Nesvizh region) and then, upon redesigning the mechanical part, we did datalogging at another large farm, in Teplivody (Baranovichi region), tracking cows in order to benchmark various estrus detection algorithms and finally to work out the ultimately best one. We gained nation-wide publicity thanks to the reality show My Business wherein, for the first (autumn’15) season of the show, we appeared one of the two teams selected by the mentor, Mr. Polivko, vice-chair of the leading national bank Belarusbank, and we won BYR 45,000,000. Soon after that, in December’15 at the 6th Republican Contest for Innovative Projects held by the State Science & Tech Committee we got the Winner diploma in the track, Best Innovative Project for Commercialization in Minsk City Technopark. Although our focus is engineering and product development, we do not off-shore manufacturing to China. The casings of Ovi-bovi tags are molded at large state-owned factory Thermoplast in Minsk; other production operations, such as circuit board printing, electronic components assembly, ultrasonic welding of casings and laser engraving on tags, are also located primarily within the country for better logistics and quality control. 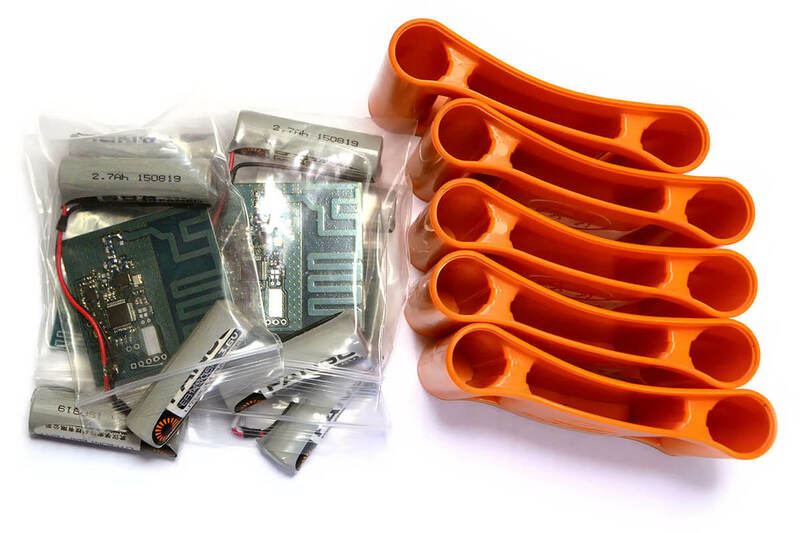 This allows us to produce any feasible number of tags within 30 days from the day of order. 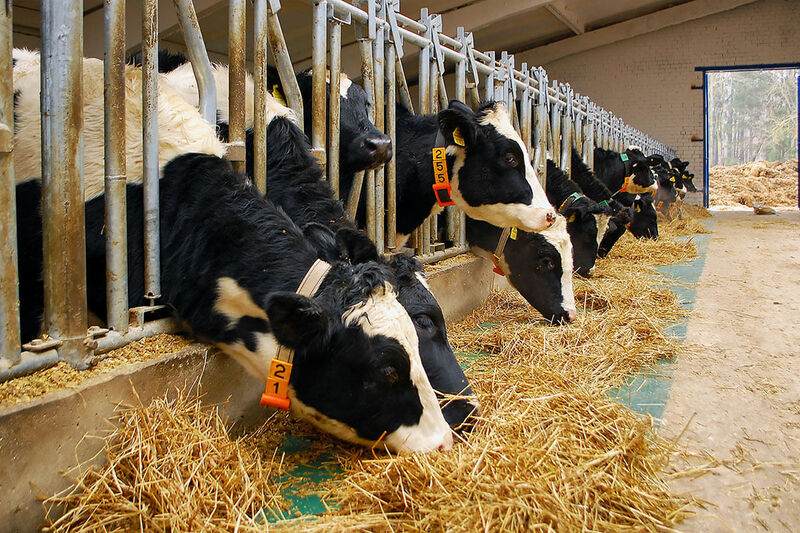 Our wireless architecture allows data transmission from the tags every fifteen minutes (NFC-added tags can be reprogrammed for even shorter intervals by the user) for the distance of up to 2 to 5 km, eliminating the need for specific readers, either infrared or RFID, placed over selection gates or at places where cows show up regularly. That means: cheaper infrastructure, lower total cost of ownership, more convenience for the user. Instead of routing tag’s printed circuit board in four layers — a practice standard for PCBs of such complexity — we found a way to trace all routes in two-layer layout while leaving the ground layer with virtually no disruptions for uncompromised radio performance. But two-layer stack-up is typically 30 to 50% cheaper in production and at the same time it is more robust. Not bad for harsh operating conditions! Ovi-bovi tag’s casings are sealed by ultrasonic welding — a two-seconds-per-tag operation providing waterproof sealing in the most reliable and environmentally friendly way without bolts or adhesives. Permanent sealing makes changing the battaries impossible, but it is actually an advantage, not a drawback: with modern low-energy electronics inside, Ovi-bovi tag should function for 12 to 16 years, according to our measurements and calculations. It can be rather lost or mechanically broken than discharged. 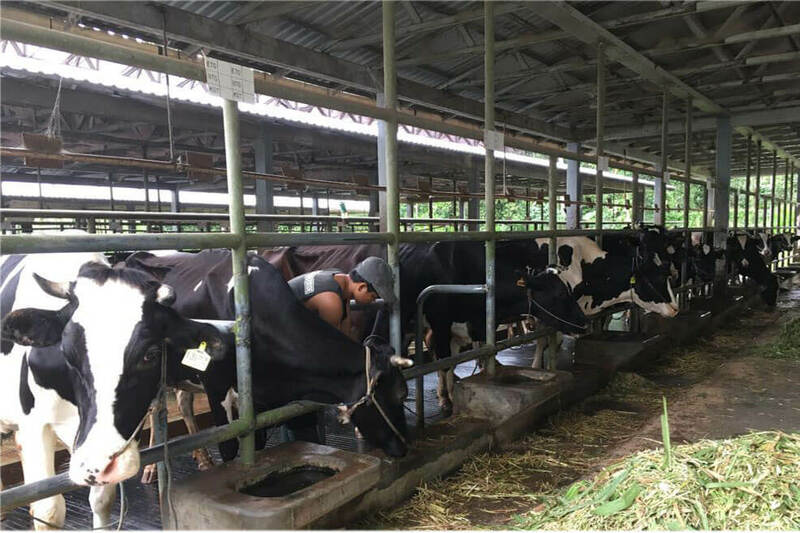 Our first export contracts were for Sweden and Indonesia; now we are looking for partners to enter such countries as Argentina, Brazil and New Zeeland where the majority of cows are pastured freely and hence the unsurpassed distance of up to 5 km from a cow in the field to the farm where receiver is mounted — as realised in Ovi-bovi system (given the terrain is plain) — is most wanted. Contact us anytime!